A person has been taken into custody in connection to reports of an active shooter at New Hampshire's largest hospital. LEBANON, N.H. -- A Rhode Island resident was taken into custody Tuesday in connection to reports of an active shooter at New Hampshire's largest hospital, authorities said. There has been no official confirmation that a shooting happened. 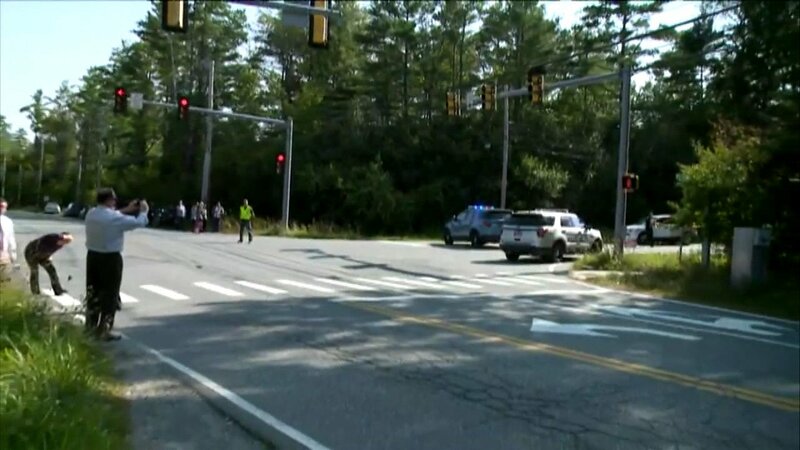 Authorities confirmed that someone was taken into custody shortly before 3 p.m. following reports of an active shooter at Dartmouth-Hitchcock Medical Center. The hospital was under lockdown and it wasn't clear if that was lifted. The center helped identify the suspect as a Rhode Island resident, said Laura Meade Kirk, a state police spokeswoman. The resident's name wasn't immediately released. WCAX-TV reports an employee said all workers received an email from the hospital about a "code silver," telling them to get out if possible and otherwise to shelter in place. "Code silver" indicates that a violent situation is unfolding.